This is a little throwback to my post from last year! CLiCk CLaCk MoO! Can you every really get enough of Click Clack Moo by Doreen Cronin? It never gets old! It's one of those books I get excited to take out every year! My kids LOVE writing about it too. Here are a couple from today, aren't they cute?! This is enough of this bad behavior. 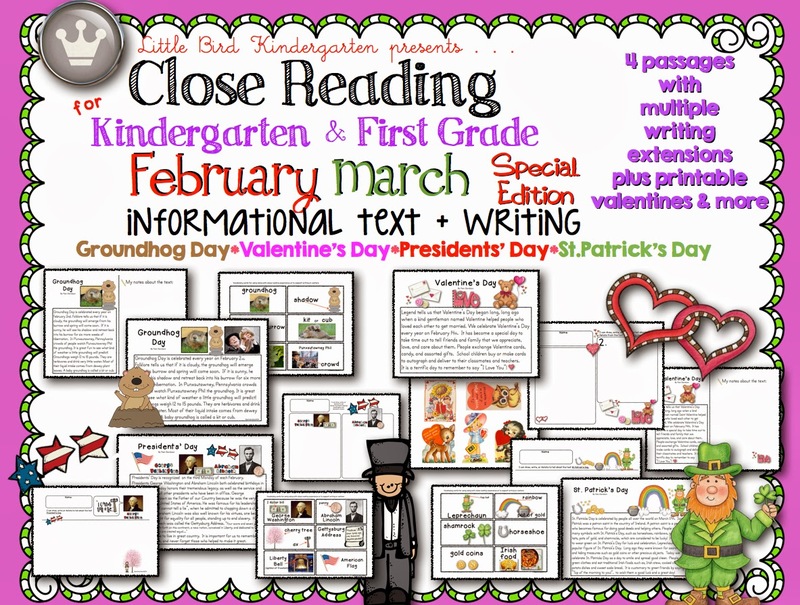 I am so excited to talk about Groundhog Day with my kids! It is something that I think is really fun, and could be made more academic and standard aligned…. so I have tried to put a little more interest and meaning into it this year by writing a Close Reading Passage about it! 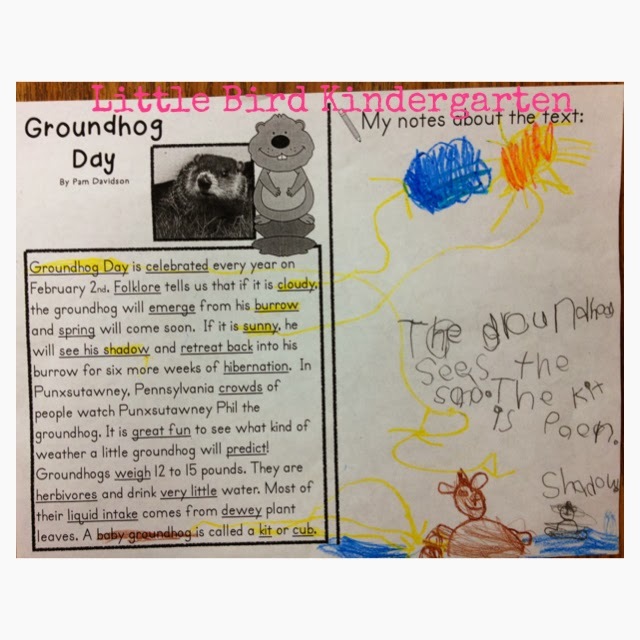 I think they are going to really enjoy it and there are lots of writing extensions to go with it including a reporting page about what the groundhog predicts and what they predict! I found a cute little video too that shows great pictures of the burrowing system etc. of this little critter (below). I'll update this post after we do some of the activities! This was fun! I love when we work on annotations after doing our close reading for a couple of days how the kids find their own special words and phrases that stick with them. No matter their ability level, different things in the text resonate with different kids. I love it when some of those little quiet ones raise their hand and softly tell me the word they are looking for in the text. I re-read the sentence for them, point to the words and let them help me find it. The smile that comes from finding "their" word... So cute, sweet, and smart! Now that... is close engagement with text! 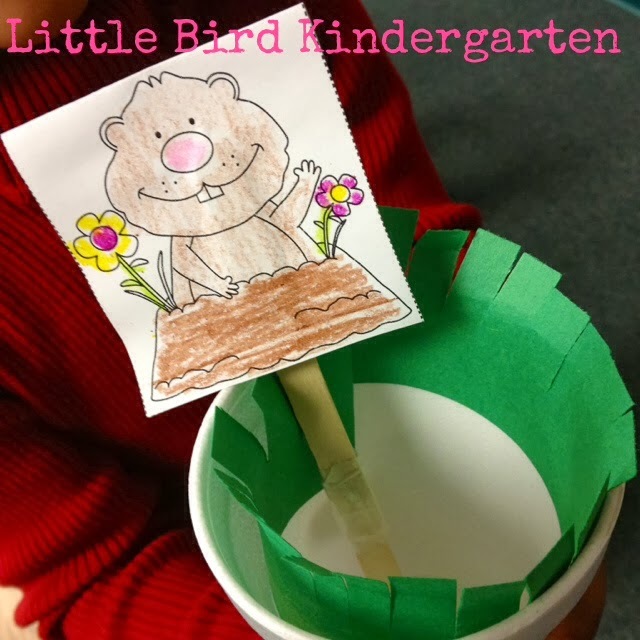 Groundhog puppet and song - an old craft with a new song! Penguins! I never get tired of teaching about them because it seems like I always learn something new about them each time! 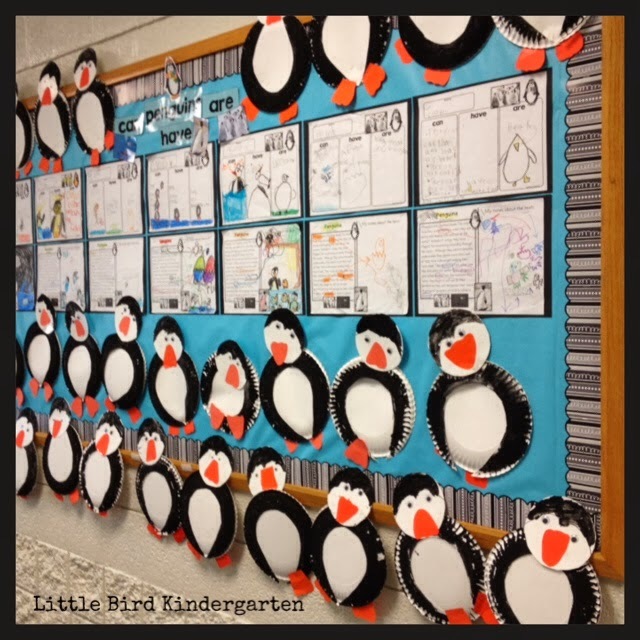 There are so many interesting facts to talk about with penguins that it makes for a great close reading subject which elicits lots of awesome oral language. 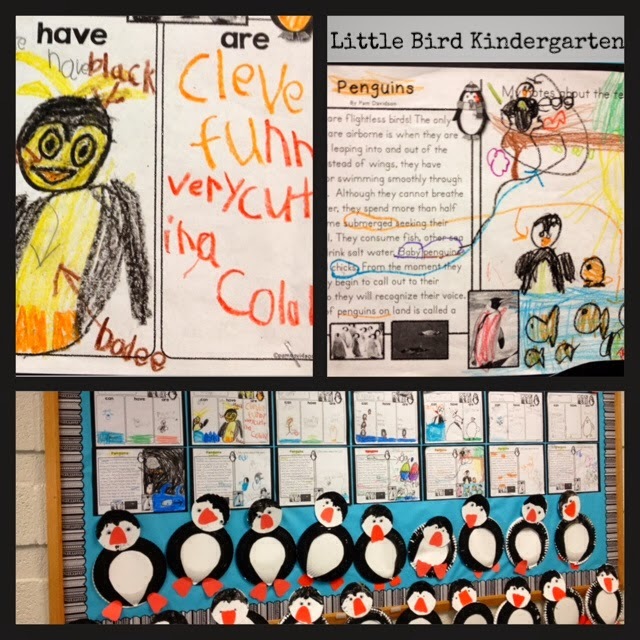 We worked on my Penguins close read this week, as well as the annotations and a can - have - are chart. It was so much fun and brought out lots of nice writing too! The Penguins passage is included in my Quarter 3 Winter Close Reading Bundle. 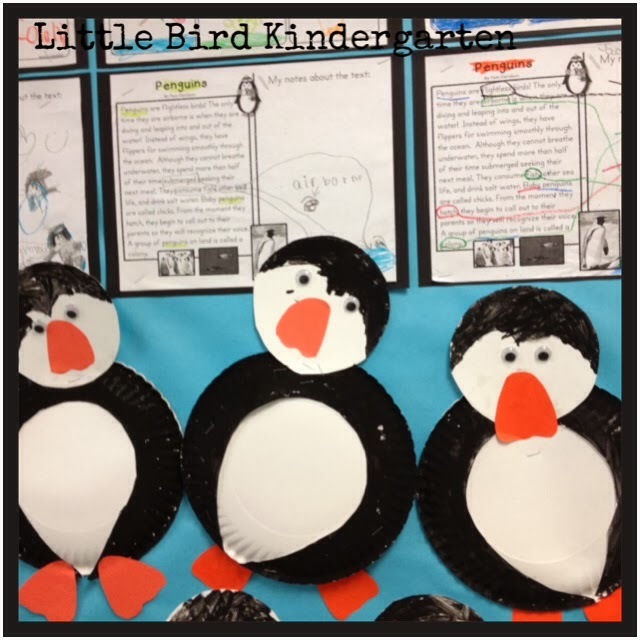 Today we made the cutest little penguin craft to conclude our fun week of learning about the little critters, all you need is two paper plates, black paint, a bit of orange paper and wiggly eyes. They are all came out so different and cute! 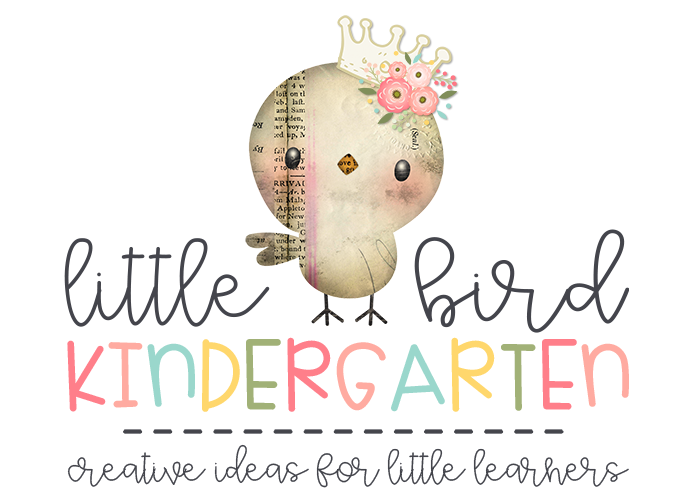 Here's a cute little video clip about penguins, I love that it shows them walking AND swimming in the water! focusing on handling all of the curve balls that life throws in a positive, grace-filled way. I am not making "resolutions" - since that feels too much like my "inner-bully" who I have shunned from my life forever (you must read this article by the amazing Rachel Macy Stafford of Hands Free Mama). Even though her children are much younger than mine, her writings have been such an inspiration to me in so many ways as a mother, but mostly just as a human. So I began this year by putting all of the great cards, letters and pictures on a book ring and tying some ribbon to it - seriously a 15 minute project, the most "scrapbooking" I've done in a long time, and it's actually a finished project! Yay me! I also bought a jar at Hobby Lobby (50% off right now too!) and used a chalkboard label sticker to make a memory jar for us to fill up with ticket stubs, pictures, basically just any artifacts/evidence of fun & good times! we must do a better job of planning ahead, we can do this! Plans to plan ahead - if it's not on the calendar it's probably not going to happen. Plans to be intentional about filling up our memory jar for this year. Plans to slow down long enough to stop and smell the roses. Be happy, be well, be kind to yourself.